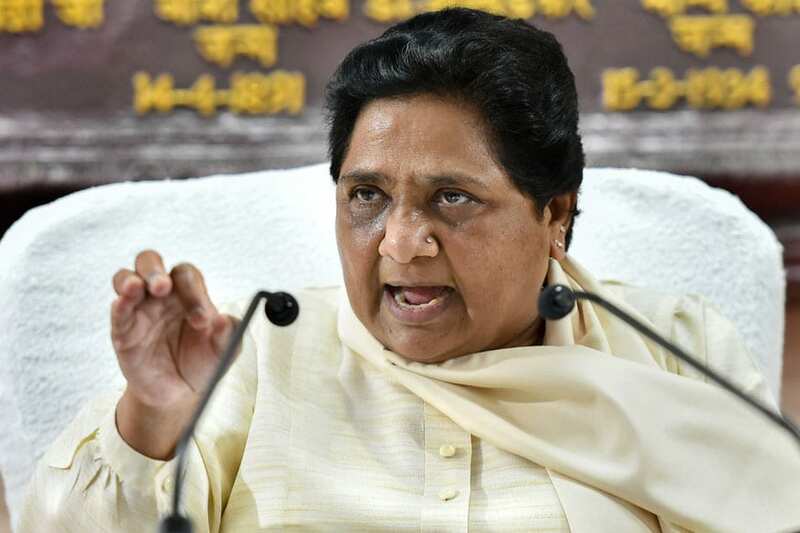 New Delhi: In a significant political statement, BSP chief Mayawati took on the Narendra Modi government over the Rafale deal for the first time and borrowed Congress chief Rahul Gandhi’s line of attack with a “chowkidar” jibe directed at the PM. Mayawati, who had till now abstained from commenting on the raging Rafale controversy, said the acquisition of 36 jets was a “corrupt defence deal” after The Hindu reported that the government had waived the critical provisions for anti-corruption penalties that form a part of the Defence Procurement Procedure. “Government waived anti-corruption clause in Rafale deal, is the latest detail revelation by The Hindu newspaper today. Corruption & corrupt defence deal, No problem! Chowkidar is important for the BJP/RSS, not his honesty? (sic),” she tweeted from her new handle on Monday morning. “Corruption, honesty, national interest and national security etc. Everything can be compromised and ignored for the sake of Chowkidar. The Chowkidar is moving everywhere in the country on government expenses claiming he is honest and not corrupt,” she tweeted, referring to how the PM has said in his rallies that he won’t let the corrupt escape. The repeated use of the term ‘chowkidar’, four times in three tweets, interestingly comes on the same day that Congress chief Rahul Gandhi and the party’s general secretary for east UP Priyanka Gandhi will arrive in Lucknow to kickstart the poll campaign in Lucknow. It is perhaps also a sign of the rethink in strategy by SP and BSP over the ‘role’ of Congress in UP as the political scenario in Uttar Pradesh is expected to change rapidly after the formal entry of Priyanka Gandhi.